Kodak’s T-Max isn’t one of those films that you see constantly thrust into the limelight. It’s elder cousin Tri-X 400 and Ilford’s HP5+ seem to dominate the 400-speed black and white space and rightly so. Tri-X rests on its ability to adapt to nearly any situation and both pushes and pulls, then you have HP5+ with its aesthetically pleasing grain structure and untouchable ability to push while keeping contrast under control. T-Max 400 however, boasts more contrast and less grain than both at its box speed of 400 iso/asa. Don’t get me wrong – I love grain. It’s that organically structured and textured pattern in every image that makes it unique. However, there does come a time where grain can encroach on what you’re actually trying to say with your photos and divert the attention away from your subject. Having shot T-max only a few times in the past, and years ago, I’d ignored it completely since and favoured Tri-X in almost every situation. However, on the odd occasion, I found it prone to breaking up in the shadows in certain lighting conditions, lacking a touch of contrast at box speed, yet packing too much of it when pushed to 1600. I figured it was time to have another run at T-Max and its infamous t-grain. 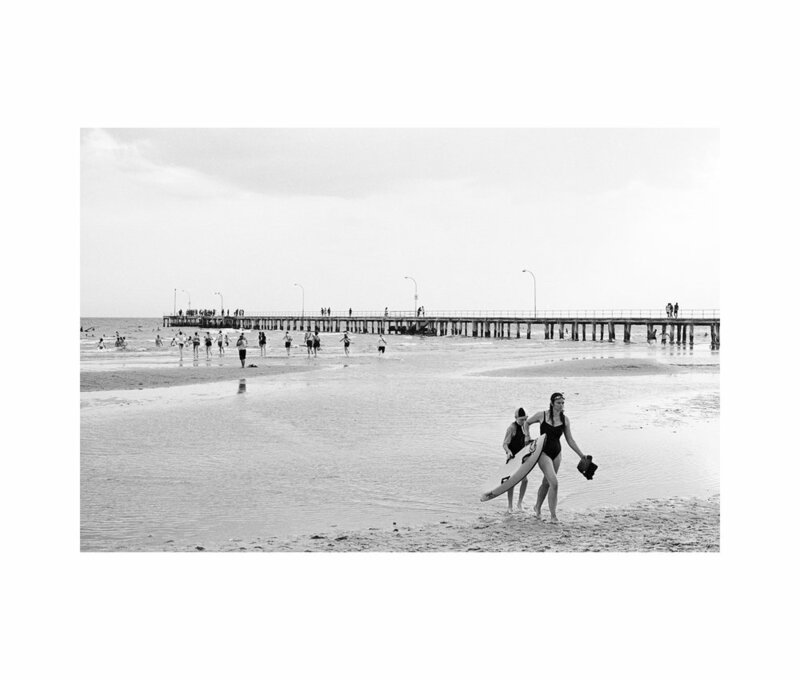 A quick trip to Melbourne during a heat wave was about as good a place as any to put a roll through a new (to me) Canon AE-1. Harsh summer light, a sprinkling of subjects with a wide range of skin tones were enough to burn through a roll in an hour or so to see how it would stack up. A quick home dev in HC-110 (dilution B) and a run through my Noritsu LS-600 and I was pleasantly surprised, and a little perplexed as to why I’d ignored it for so long. You benefit from a mid-speed-range film stock, but with a pleasing punch of contrast and grain that isn’t dancing forth to the front of the frame and demanding that you look at it. It handled slightly over AND under exposure well enough to generate a decent scan without breaking up too much and the resulting tones in flatter light were very pleasing. At least they were to me. At a slightly cheaper price point that Tri-X this Kodak stock is well worth a run when you’re looking for a look that’s slightly reminiscent of Delta 100, but with that extra speed. Ben Whitmore is a documentary-style photographer who's work largely centres around his home and Australian beach culture. Be it on the street, on the beach or in the water, Ben's work offers a unique documentary take on his surroundings.